The Pastel Neon Green Melamine Cup by Rice cannot be overlooked on the table, because the bright color and pretty shape really make it stand out. A wake-me-up cup at the breakfast table and a good-mood-maker at the garden party, this and more is this melamine cup by Rice. A whole 225 ml of your favorite drink fit into it and as soon as it is dirty, it can be cleaned in the dishwasher. It can be combined nicely with the other pastel neon green tableware items and it can also be mixed well with patterned Rice dishes. Thanks to its durable material, it can be used indoors as well as outdoors, so it can be your juice glass for breakfast in the morning as well as your punch glass at the garden party. 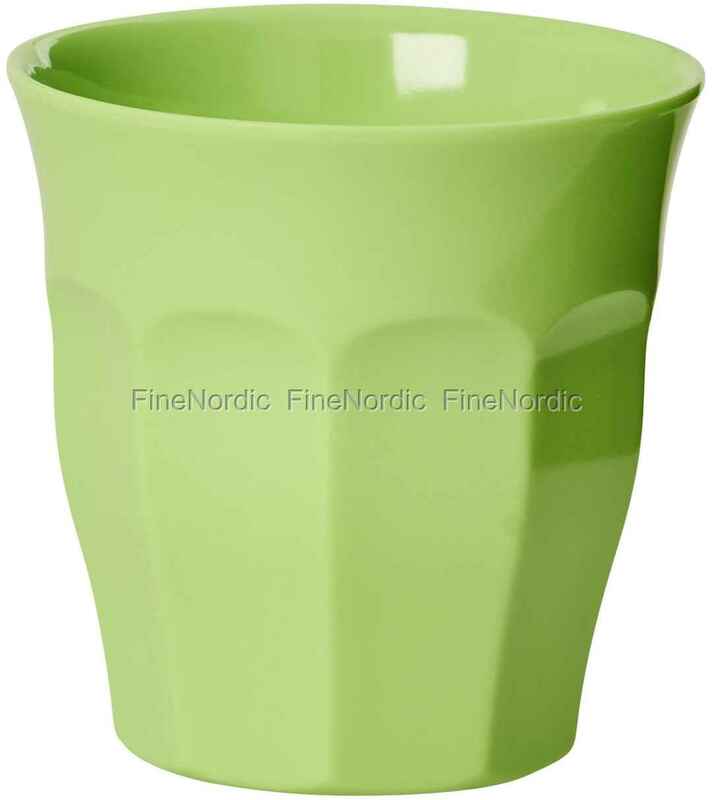 A cup with such a gorgeous fresh color, versatile use and which is also so resistant that has the potential of becoming your favorite cup in no time.